Home » Music » The Motion Sick » The Motion Sick: ‘Stache Wednesday Theme Song – “I Grew A Mustache” – Join Us For Our Final Ash Wednesdays Residency Show! 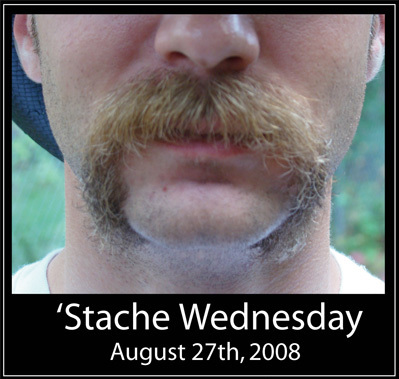 The Motion Sick: ‘Stache Wednesday Theme Song – “I Grew A Mustache” – Join Us For Our Final Ash Wednesdays Residency Show! In case you foolishly missed last week’s The Flash Wednesday (Superheroes!) Show or the previous week’s Arthur Ashe Wednesday or the previous previous week’s Splash Wednesday show (or even if you were there), check out some fabulous photographs and video at http://www.themotionsick.com/ash/ to see how much fun we had.